I found the fabric at Joann's Fabric and with the 40% coupon I paid about $5.00 for it. I can't wait for her to see the bench (I hope she's reading this post). I hope the kids will love it and use it for a long time to come. Let's see how the fabric holds up. Please check out all the places I party on the left side bar. Great! I love the fabric you used! You can never have enough benches!Have a wonderful day! Great score on that fabric! Love the dark rich color of the wood! Wow that is a major improvement, it looks amazing. SO pretty! I really love it, it looks so new and fresh, but still has all that history. Great job! Hell yeah I f**king love coupons. I usually only buy stuff from Joanns when I have a coupon. Great job on the bench I did a similar job on one I found at an estate sale. LOVE that fabric....never seem to find anything like that @ JoAnn...I need to get better eyes! Awesome transformation and even better when the price is revealed. Again... I love this bench! Thanks for linking up! Lovely bench! The color works really well. Love the pattern of the fabric. Love it! I am a fan of benches too! They are so great and versatile. Fabulous job! The fabric is just perfect and you gave it a whole new life. Thanks so much for linking this up to Inspiration Friday this week! Wow, that looks wonderful! It makes me want one! Looks bodacious as always! Thanks for linking up!! I have a bench that needs a makeover too. Good job! Lovely & chic! Your friend is so lucky! New follower via tatertots & jello. Love the fabric! This turned out awesome! 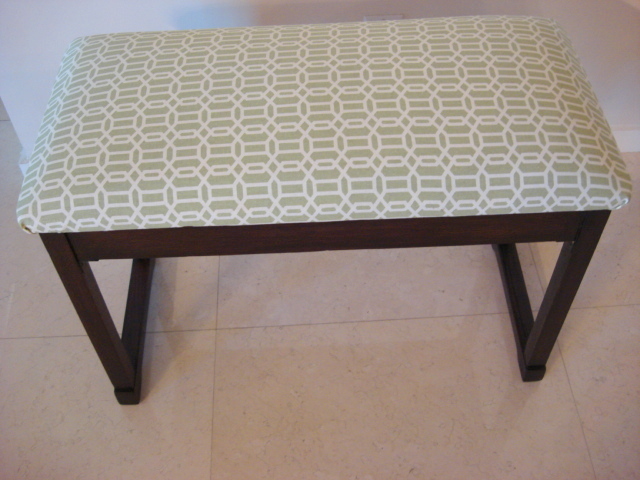 I love the fabric and how you brought this bench back to life! Great transformation! What a great transformation! Love the fabric choice. I love a great bench makeover! pretty fabric! Such an awesome transformation! I've been searching for ideas for a trunk we have from my husband's grandfather. This is such awesome inspiration! 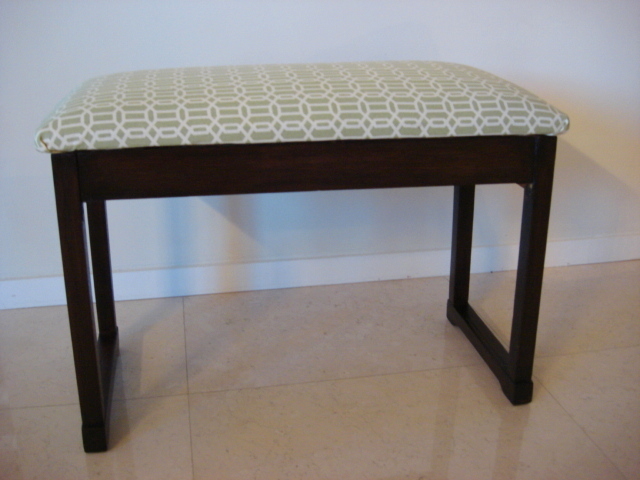 i love the lines of this bench- they give it a nice modern feel, and the fabric suits it perfectly! Thanks for linking up! This is soo pretty, great job! 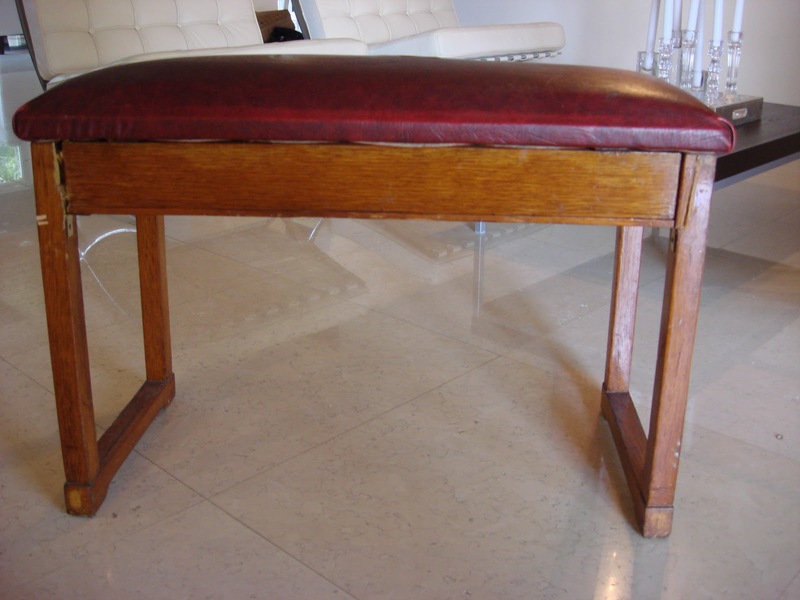 LOVE this bench too! You do awesome work!!! 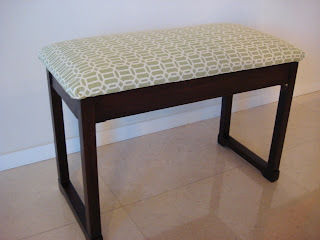 Just used this same fabric on a chair cushion, but my fabric is the brown and light blue version. 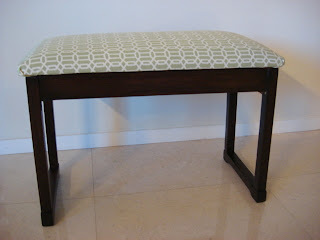 Cute bench makeover! i will bookmark your page for more new updates on your site. keep it up .